View discussions between candidates and Pernod Ricard employees. I get to work with top graduate talent. Pernod Ricard is the world’s n°2 in wines and spirits with consolidated Sales of € 8,558 million in 2014/15. Created in 1975 by the merger of Ricard and Pernod, the Group has undergone sustained development, based on both organic growth and acquisitions: Seagram (2001), Allied Domecq (2005) and Vin&amp;Sprit (2008). Pernod Ricard holds one of the most prestigious brand portfolios in the sector: Absolut Vodka, Ricard pastis, Ballantine’s, Chivas Regal, Royal Salute and The Glenlivet Scotch whiskies, Jameson Irish whiskey, Martell cognac, Havana Club rum, Beefeater gin, Kahlúa and Malibu liqueurs, Mumm and Perrier- Jouët champagnes, as well Jacob’s Creek, Brancott Estate, Campo Viejo, Graffigna and Kenwood wines. Pernod Ricard employs a workforce of approximately 18,000 people and operates through a decentralised organisation, with 6 “Brand Companies” and 80 “Market Companies” established in each key market. Pernod Ricard is strongly committed to a sustainable development policy and encourages responsible consumption. Pernod Ricard’s strategy and ambition are based on 3 key values that guide its expansion: entrepreneurial spirit, mutual trust and a strong sense of ethics. 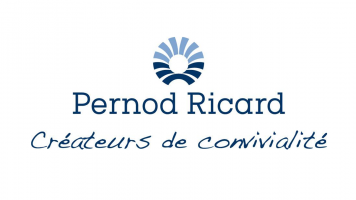 Pernod Ricard is listed on Euronext (Ticker: RI; ISIN code: FR0000120693) and is part of the CAC 40 index. Hello :) Is there a specific period to apply to the MMPJ Brand Ambassadors Program? Hello ! I found the job offer in civiweb (a french website) and it was not mentionned application must have to be send in English. Is it a problem ? I just sent an english resume. I'm looking froward a feedback because the offer really interests me ! Hello Nicolas! What is the process to apply for a champagne ambassador position? Sir i would like to be martell ambassador in Nigeria .....how do i apply? What kind of experience did you have before applying for the Pernod Ricard Brand Ambassador role? Hello everyone. My name is Richard and I live in Nigeria. I am interested in becoming a brand ambassador. Have you already made the shortlist of candidates selected to move forward to the next step? Dear Nicolas, thanks a lot for your prompt reply. I look forward to receiving an update on the results. Hi Sinéad, I want to enquire if international applicants are accepted for Jameson's Graduate Distiller Program ? I'm curious to know what qualifications you need to be a wine or spirits ambassador? What qualifications for Pernod are needed for lebal checking and maintenance? Hello! When do applications for the MMPJ open in either the US or European locations? Hello Nicolas, since there is a new job board web site, is there any dedicated website to apply to MMPJ ? Hello, is it still on the process as today is supposed to be the day of the assessment? I am little confused on the status of my application. Thank you ! What are the requirements to do a VIE with Pernod Ricard? What does the Chivas Graduate Programme look for in an ideal candidate? When are the applications for 2018 opening ? Why does the link to apply for the Winemakers Graduate Ambassador scheme not work? Can we please get notified when this is fixed? Applications open again in October 2018. Functional cookies	 These cookies are used to provide a consistent experience by remembering settings, sessions and already-viewed content, and feature interactions, allowing PathMotion to customise the user experience and provide data, insights and trends to Pernod Ricard.